As London continues to expand, all eyes are on the east. With City workers increasingly looking for vibrant and convenient places to call home and families moving east in search of more space, downstream properties are in high demand. This part of the river has benefited from high levels of investment in recent years, and now the warehouse conversions typical of the area stand alongside sparkling new developments aimed at high-flying, time-poor young professionals who want a slice of the coveted riverside lifestyle - think breathtaking views, brisk walks (or boat rides!) to work and waterside jogs at the weekend. We regularly have a variety of riverside property for sale or to let, including flats and apartments in a number of award winning developments. View a selection of riverside developments downstream. 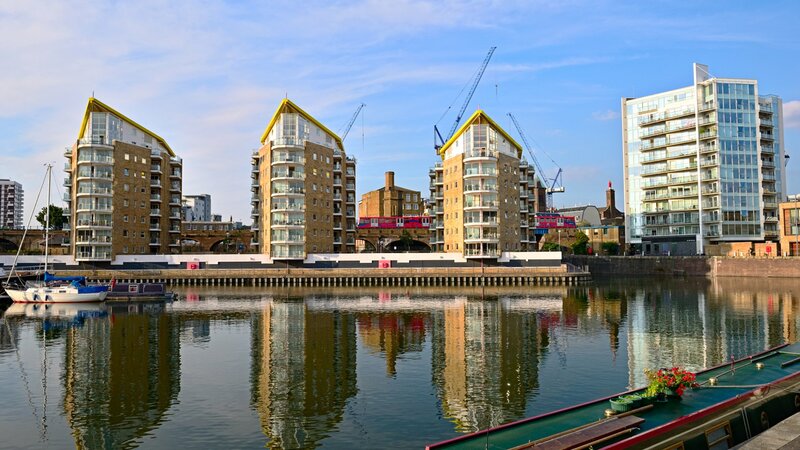 With offices in Wapping, Shad Thames and Canary Wharf, Waterview sells and lets properties in this historic, stylish and buzzy area, from Tower Bridge to Woolwich and beyond. City workers and international corporate tenants are drawn here thanks to the proximity to both work and the convenient City airport; the former industrial docks of the Isle of Dogs and Canary Wharf are now home to some of London’s most desirable riverside properties. Possibly the most recognisable of all of London’s bridges, Tower Bridge is the only one that opens. The area of Tower Bridge lies across the river from the City of London, one of the oldest parts of London, with a rich and diverse history. To the east of Tower Bridge is Shad Thames, with its faithfully restored warehouses and wharfs on charming cobbled streets whilst to the north is the famous Tower of London which houses the crown jewels. Its location means that many South Bank and Shad Thames residents walk to work in the City. St Katharine Docks, in the London Borough of Tower Hamlets, was one of the commercial docks serving London in the 1800s, on the north side of the River Thames just downstream of the Tower of London and Tower Bridge. They were part of the Port of London, in the area now known as the Docklands, and are now a popular housing and leisure complex following a successful redevelopment. St Katharine Docks now feature offices, public and private housing, a large hotel, shops and restaurants, an impressive pub (The Dickens Inn, a former brewery dating back to the 18th Century) and a yachting marina. Wapping High Street runs along the Thames’ north bank for over two miles. Wapping underground station stands at the end of the first Thames Tunnel, a remarkable feat of engineering by Marc Brunel, opened in 1843. Traditionally a shipping area, Wapping has retained its charm and cobbled streets. In recent times, Wapping has undergone vast regeneration and has seen new and trendy restaurants open, including the famous Bottega, Il Bordello and the fish restaurant Smiths. There is a running club, the members of which can often be spotted along the route from King Edward Memorial Park through the Shadwell Basin and Wapping Woods before heading along the canal to the riverfront. The centre of Limehouse is Narrow Street, which runs for almost a mile along the waterfront. Nearby Limehouse Basin was created in the early 19th Century as a dock for canal boats to transfer their cargo. The area has a raw, unique and trendy feel, Limehouse Marina and an excellent selection of local schools attract families to the area. Canary Wharf is one of the largest commercial developments in the world. This is where affordable property and high-end luxury apartments can be bought with incredible views of London and the Thames. It’s not just about big business; why not head to Mudchute farm to feed the animals, relax in Norman Fosters’ Crossrail Place Roof Garden or buy your seafood at four o’clock in the morning from Billingsgate Fish Market. One of only four London boroughs to be awarded Royal status, Greenwich is intrinsically linked to the river and all things maritime. Weekend tourists and happy local families combine to give Greenwich its relaxed vibe, whilst students and graduates (many of the local University of Greenwich) have settled here, bringing with them cosmopolitan bars and exciting local restaurants. With the green spaces of Greenwich Park and Blackheath, Royal Museums Greenwich (including the Royal Observatory Greenwich, the iconic sailing ship Cutty Sark, the National Maritime Museum and the Queen’s House art gallery) and cafes aplenty, locals are spoiled for choice for weekend activities. The main town is home to a buzzing market square, surrounded by independent boutiques, and come summer revellers spill outside of the many wonderful waterside pubs. With fantastic transport links to the City and Canary Wharf, Greenwich is a popular spot for commuting professionals. Already a place of great historic and maritime interest with many heritage buildings, Woolwich is being transformed, with thousands of new homes and a revitalised town centre, and is set to become one of the big winners of the arrival of the Elizabeth line; Woolwich will have its own station stop on the new service within the year.